For funeral homes, Directors Choice is, without question, a top 3 ranked answering service company. This company was literally founded with a model to support funeral directors and their customers. This company earned five stars because we don’t offer more. One thing we really like about Directors Choice Answering Service is the have one core focus. They support funeral homes, making them a tad better then call centers covering multiple industries. Directors choice offer mobile apps, web chat solutions, live call transfer, and overnight message prioritization. Their DC to Go mobile application fully supports the largest of funeral homes by putting the data you need at your fingertips. From your office PC to your smart phone, communications are readily available 24×7. Their web chat feature ensures you to reach potential customers online. Pros: The offer web chat services for customers that are not ready to call, but want to chat for information. The specialize in support for funeral directors and have software to really support them. Cons: The company appears to be corporately located out of the US, however, calls may be answered locally. The company partners with ICCFA, NFDA, and the Texas Funeral Directors Association. 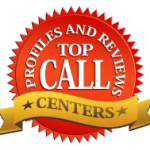 Directors Choice is an award-winning answering service that was built by a funeral director and teams up staff trained in funeral home field with advanced technology to provide your clients with the service they deserve. Not Sure About Directors Choice Answering Service as the best solution? See other top reviews on answering service companies below.